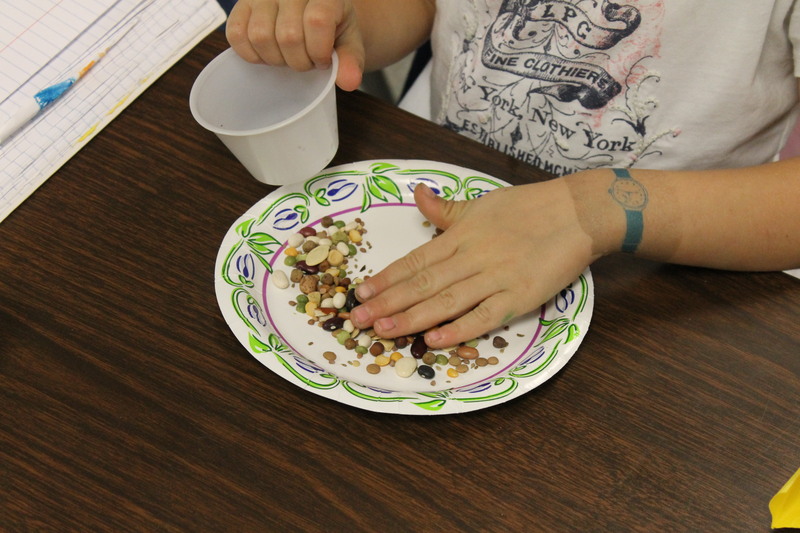 We’ve been doing a lot with seeds in the last few weeks. 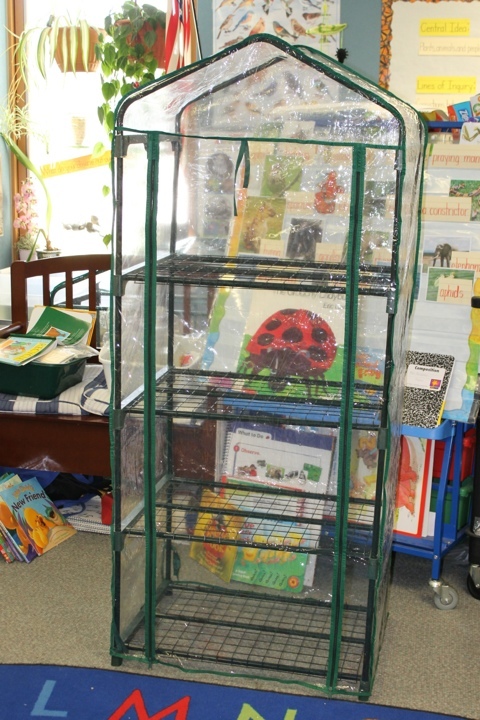 First up, we had to fill our wonderful new greenhouse with seedlings! 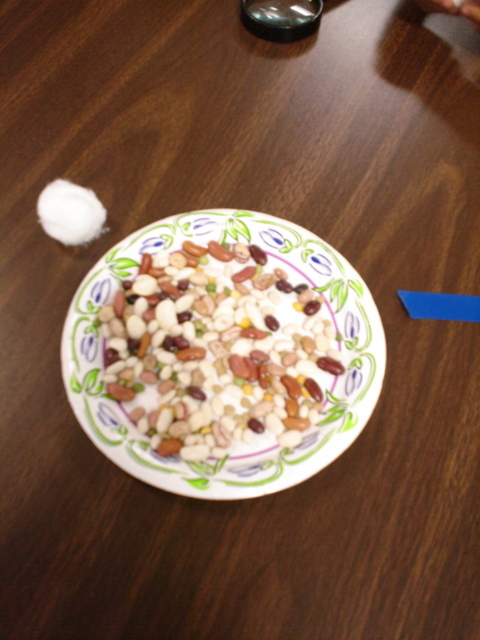 These are the beginnings of our pumpkin seeds. 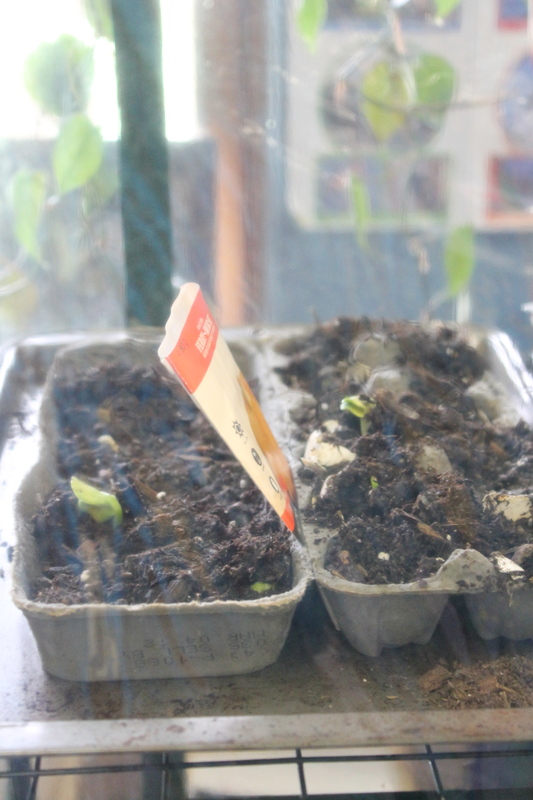 We wanted to recycle our cardboard egg cartons and reuse some egg shells one of my students brought in, so we put the egg shells in the carton and planted seeds in them. 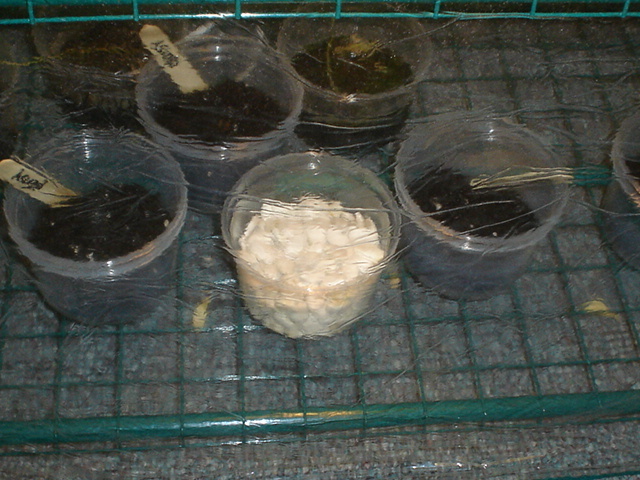 The seedlings are 5 times bigger now and they have roots growing through and out of the sides and bottom of the egg carton. 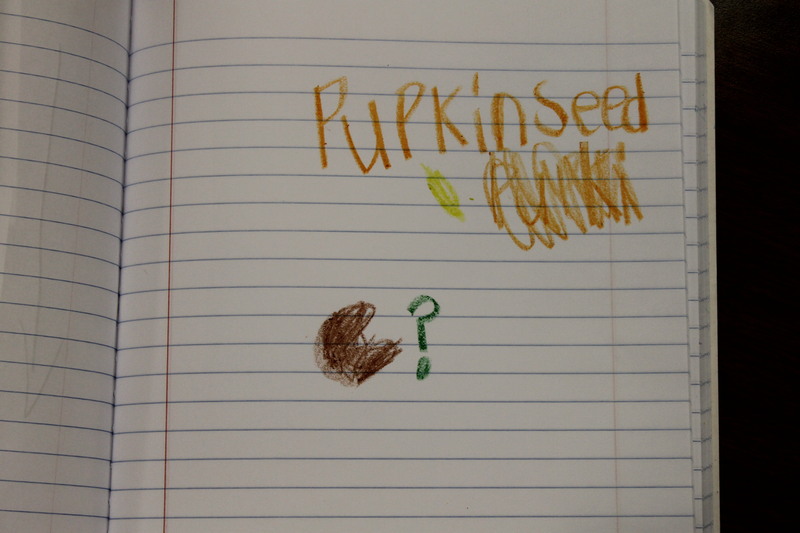 After that we looked at seeds and drew our observations in our science journals. 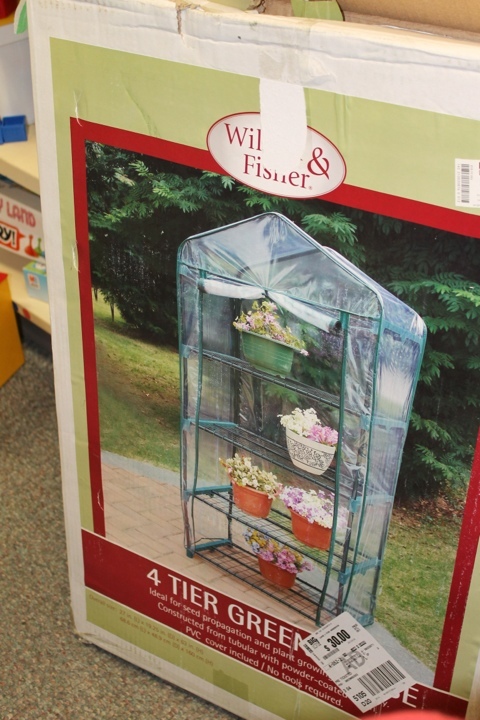 Check out my great find at my local Big Lots store… I was able to get this greenhouse for $30! It has four shelves and doubled our growing space! 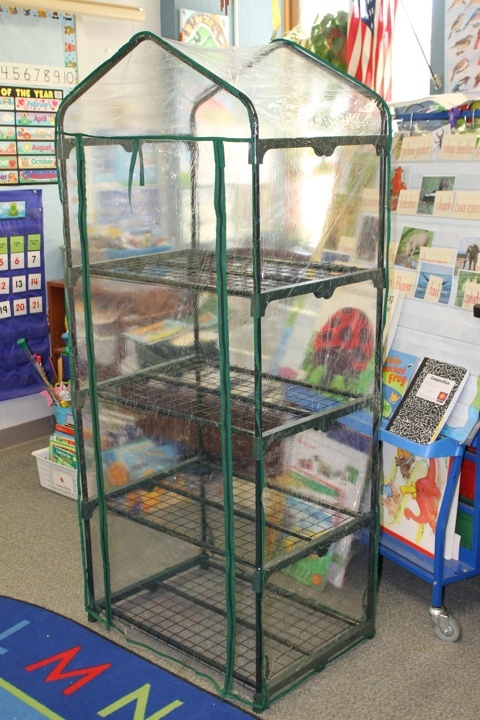 I let a teacher down the hall borrow my two shelf model so she could grow some plants of her own. There was also a walk in greenhouse model available for sale and if I would of had a place to put it, it would of been mine! In keeping with the green theme here, we (the kids and I) decided to use as many recycled containers as possible to grow our seeds in. 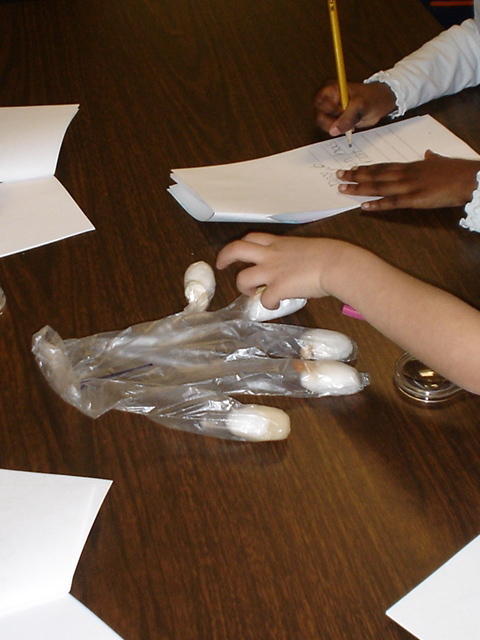 We used both halves of a cardboard egg container, complete with egg shell half cups! We also used a plastic cupcake tray that one of my students brought her birthday cupcakes in last week. We used some old cookie sheets I got at the Goodwill Outlet Store for way cheap as trays to put our containers on. 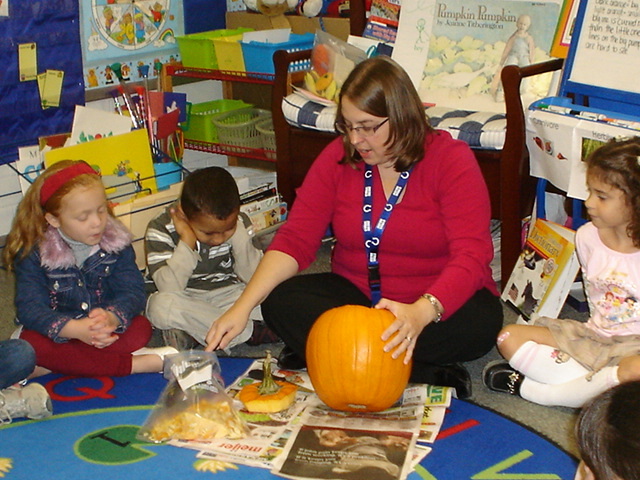 We’ve been learning and reading all about Pumpkins this week…even though I was out 2 days this week (my son was sick). We started off the week by taking a picture walk through the Big Book Pumpkin, Pumpkin by Jeanne Titherington. 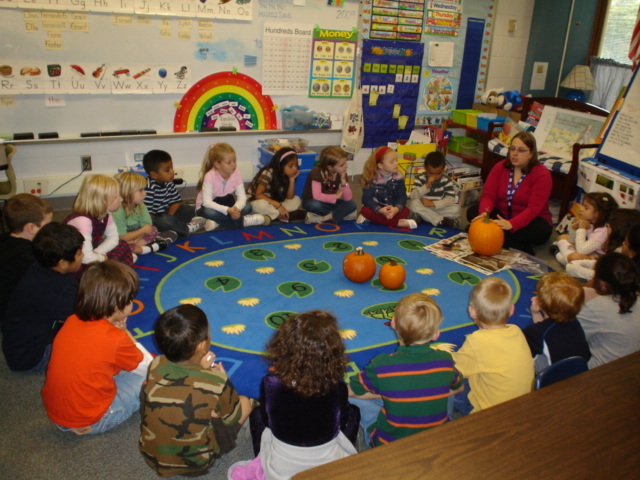 Then the children heard the story read aloud. 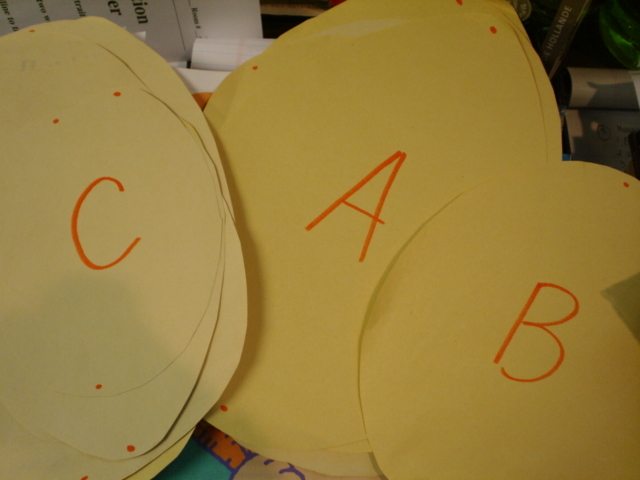 On the second day, the children re-read the story and then re-told the story using their own words. 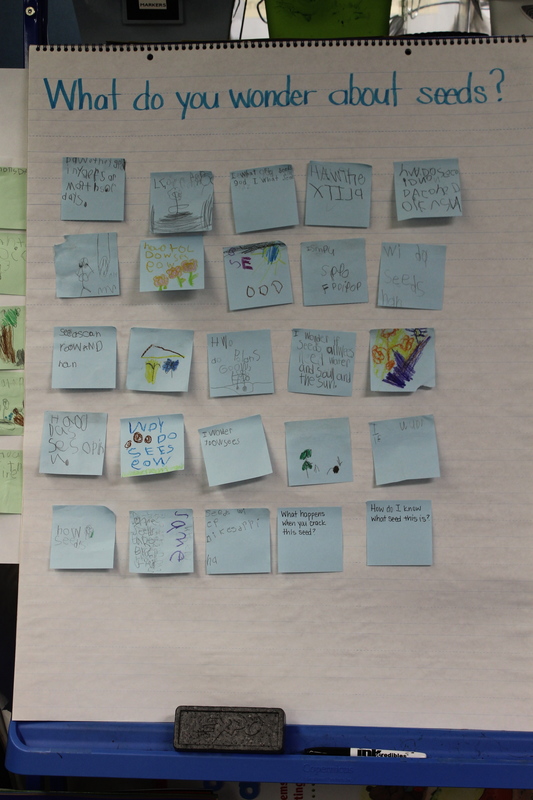 Today, we looked at the pictures to help us re-tell the story and then we played Guess The Covered Word. 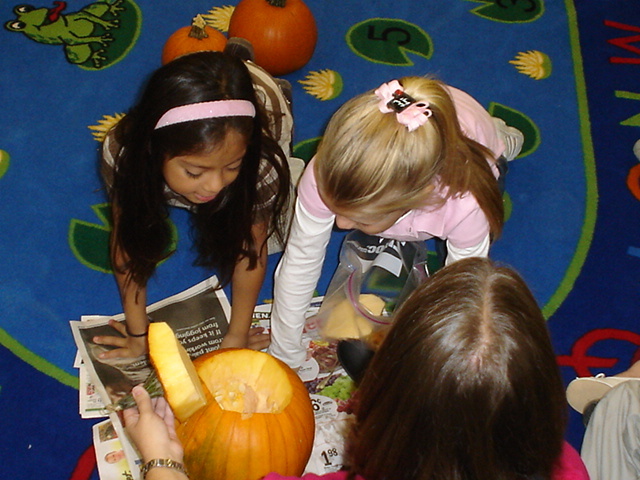 I covered the words pumpkin, seeds, pulp, flower, and sprouts. 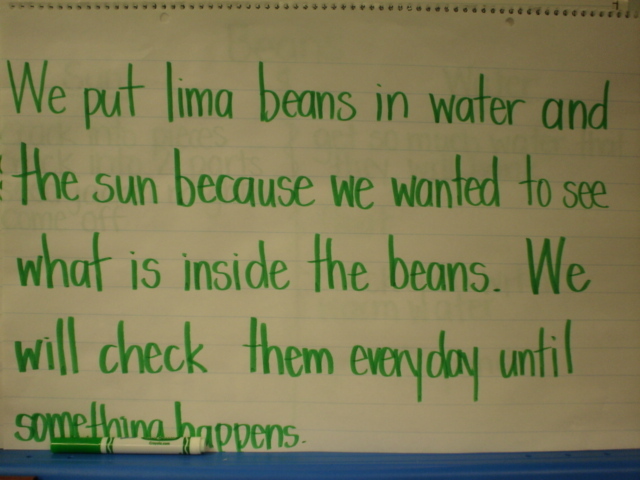 We would read the sentence and when we got to a covered word, we would try to guess what the word was. 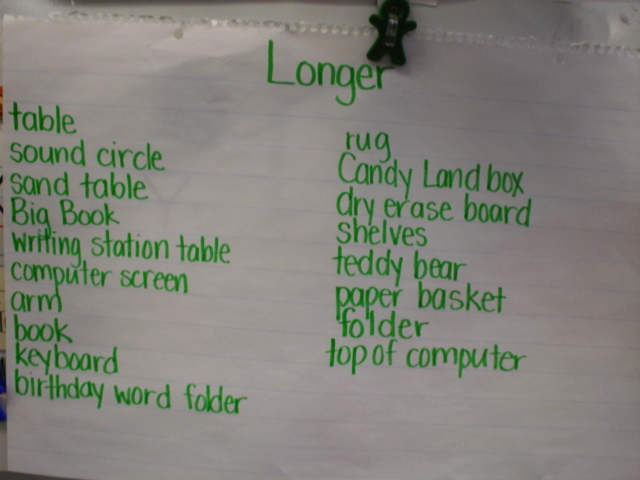 If the first letter was correct, we sounded out the word we thought it might be and would figure out if it fit. 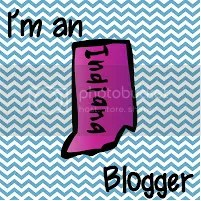 If not, we needed a new word. 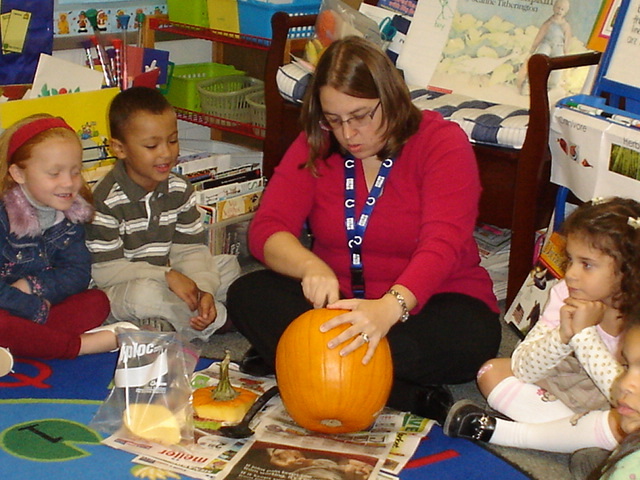 Then later in the afternoon, we cut open our pumpkin and checked out the insides. 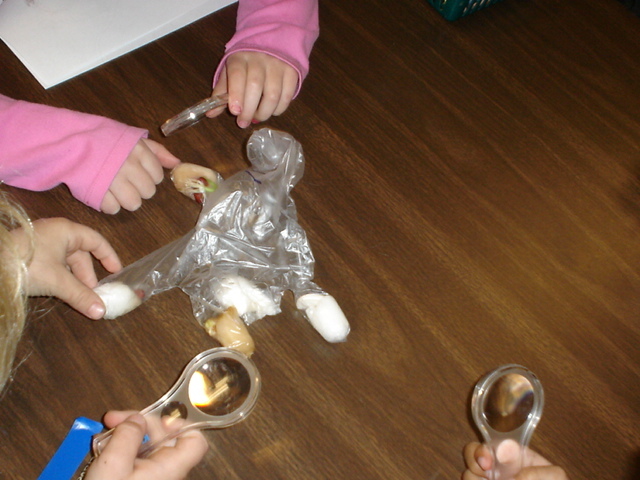 I scooped out the pulp, we observed it and I put it in a plastic baggie to take home and roast the seeds. We also have a few smaller pumpkins in our room that were donated by parents (THANK YOU!!!) so we could observe them. 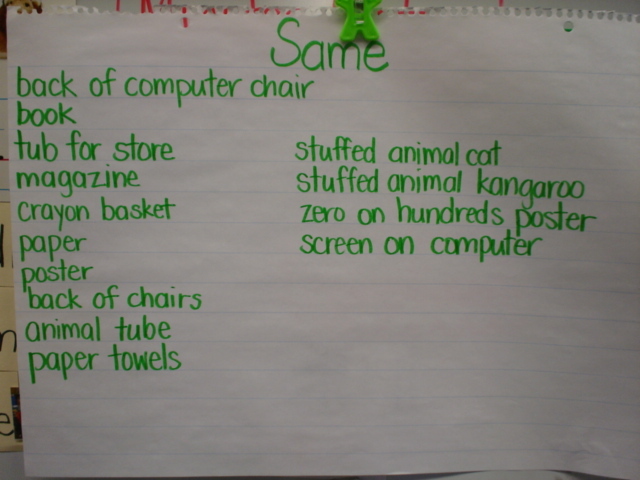 And observe them we did and wrote our findings down on our KOWL chart. 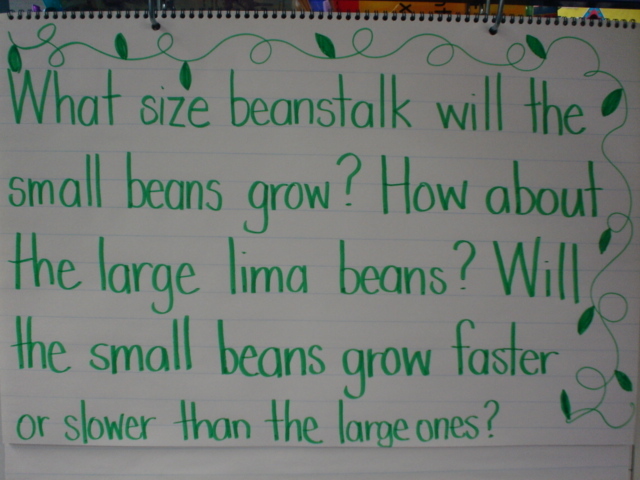 I asked the children to make sure that they all planted at least one lima bean and then asked them to consider these questions as they chose their beans. 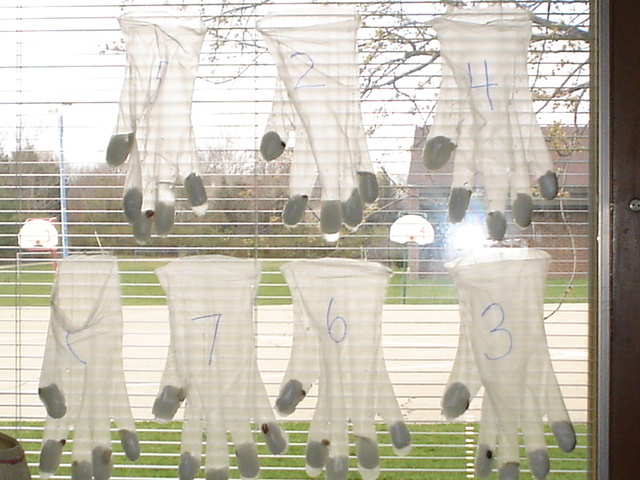 Here they are hanging in the window. 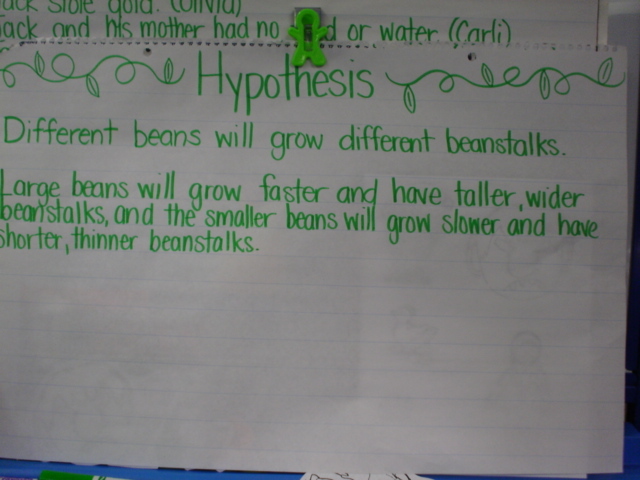 I introduced the word hypothesis today and the children though about what kinds of beanstalks that their various beans would grow. 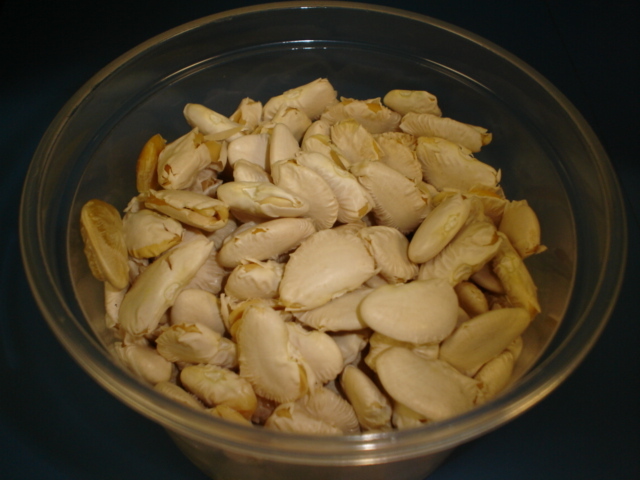 Some one asked if there was a way to see inside the beans. 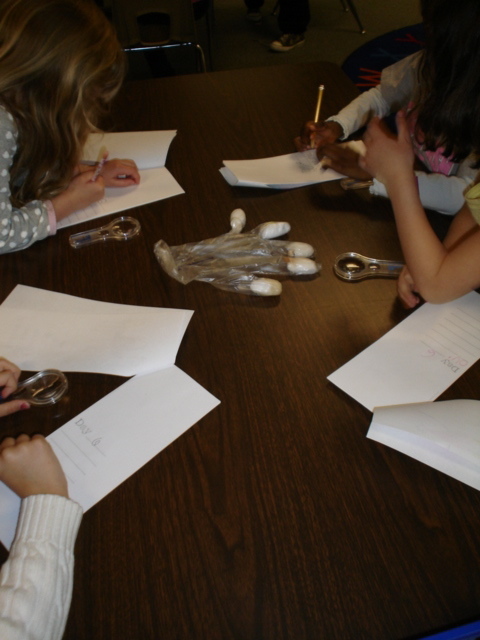 Wednesday, I asked the children if they could figure out a way that we could see inside the beans. They concluded that they knew that seeds opened once they had been planted so one of the things that was used to plant them must be the thing we would need. 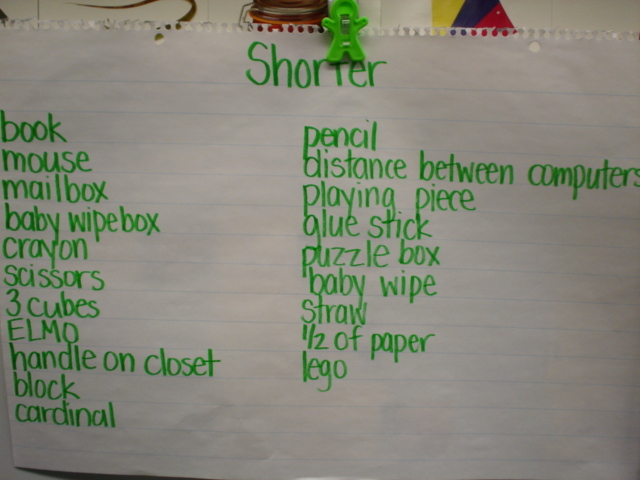 We made a list of things (sun, water, soil, love, air) and checked each one of the things off on our list. 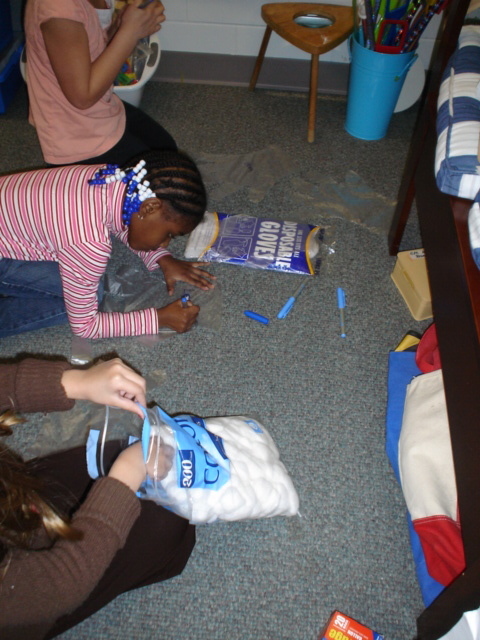 We decided that we had planted seeds in soil on Monday, so that was taken care of. 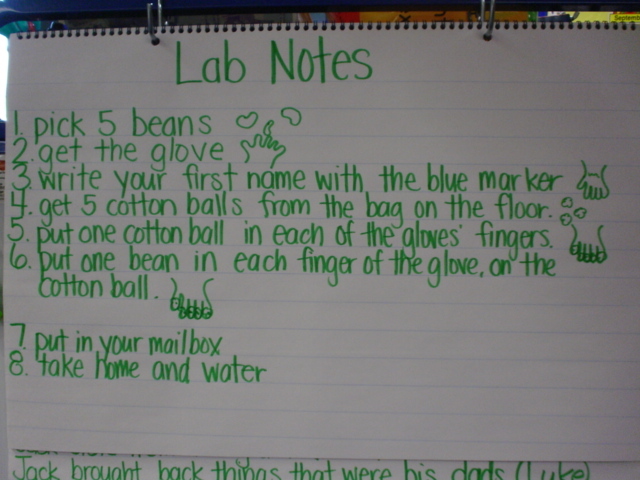 We held our beans up to our hearts and talked to them (love) and although that did not work, it was awfully cute to watch! We also tried holding the beans up in the air and nothing happened. 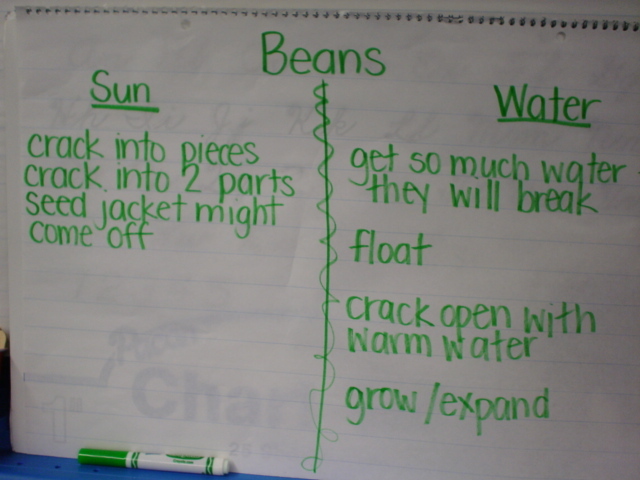 Finally, we decided that our experiment to see inside the beans would involve sun and water. 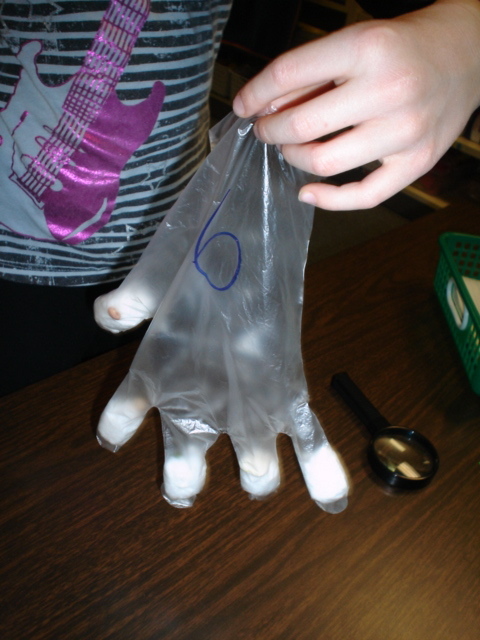 Our hypothesis was that one of these ways was sure to make the beans open so that we could see inside them! 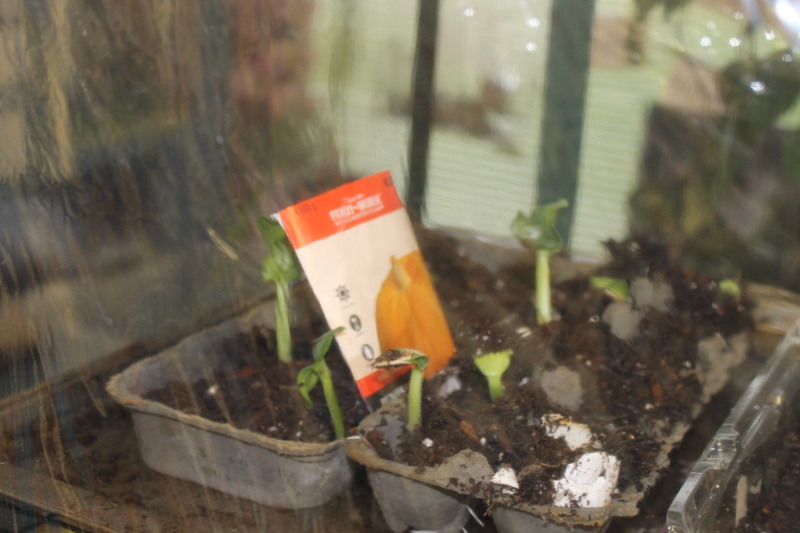 We also decided to use our greenhouse rather than take the beans outside. 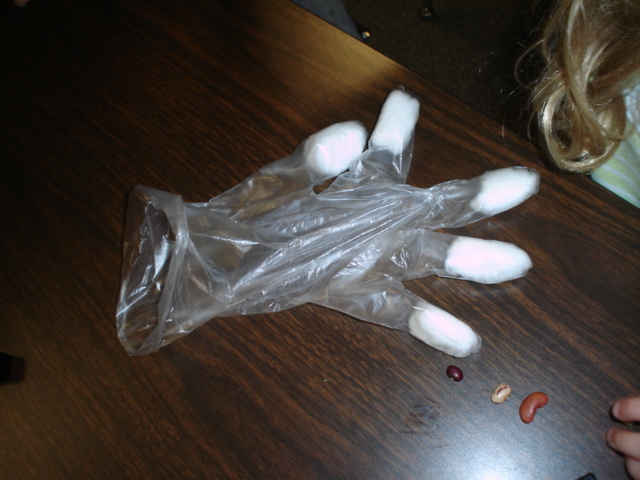 Some of the children were worried that squirrels and other animals might take the beans and we would not see what happened to them. 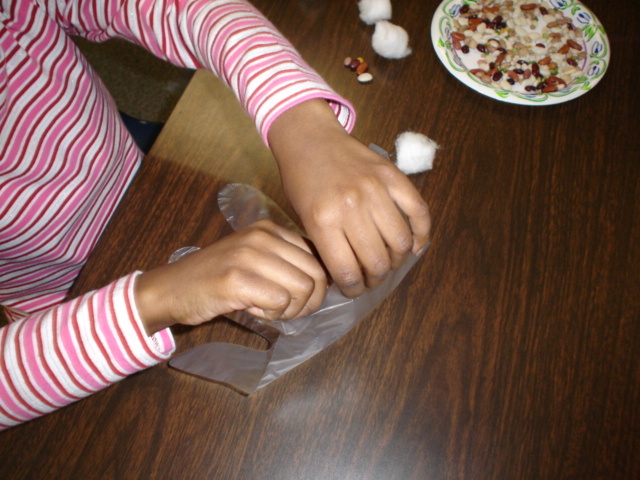 The children then got to plant beans of their own to take home and observe. That was our week last week…now on to this week! 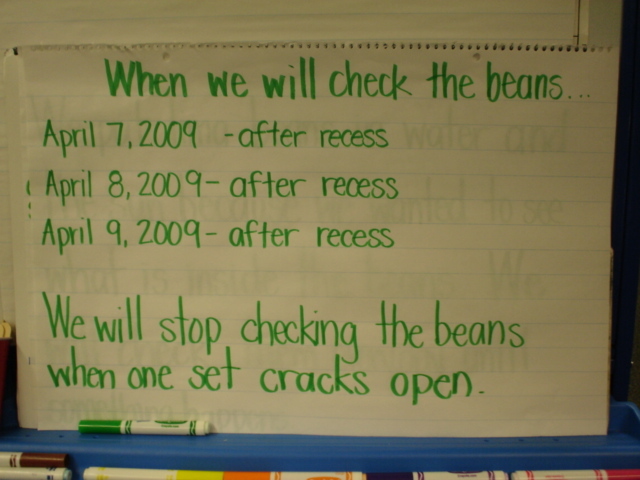 We are reading a big book this week titled “Seeds”. Because there are a few students who will be leaving early this week to head out on Spring Break, we did not do a Predictable Chart, however we did do several neat Inquiry Based things in Science. I like to begin almost all my themes/units with a KWL/OWL chart to asses where my children are at and what they are interested in. 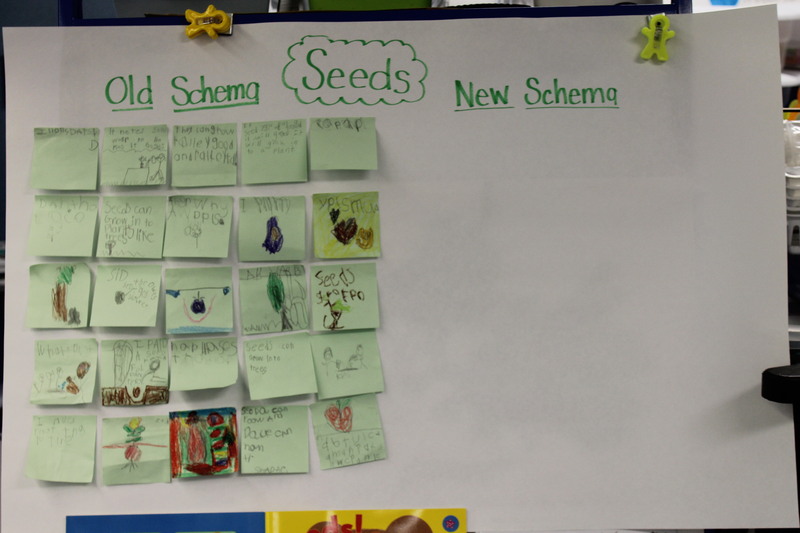 We completed the “K” portion of this chart first, then after Observing the seeds (see below) we completed the “O” portion and the “W” (wonder) section. 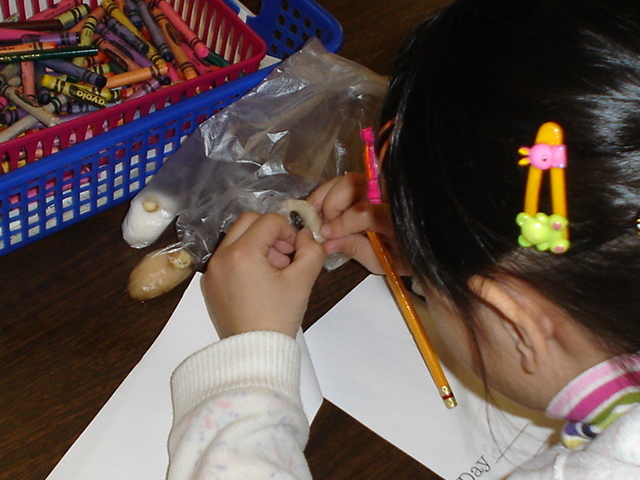 I like to change the “W” from “What we WANT to Learn” to “What we WONDER” because it gets the children asking questions of the “I Wonder…” variety, something that is holding them back from exploring the world! At this young age, they know what they want to learn about somethings, but they have no basis to draw from for many Science concepts (some do!!). 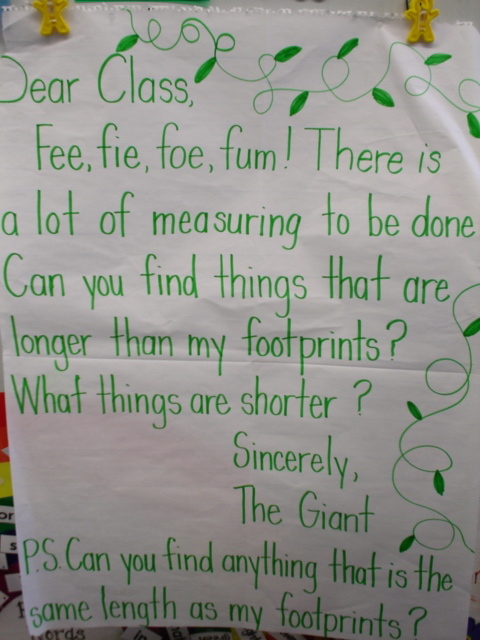 Asking “I Wonder…” questions sets the ground work for them to wonder, so ALL of my KWL charts are either KOWL or OWL charts. Today, Tuesday, we planted all kinds of vegetables in Containers. My kids took such an interest in the Seeds book that I went and got many of the seeds mentioned in the story.